does its part and more. 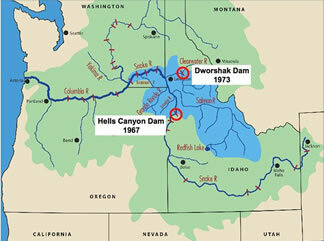 Because of the lower Snake River Dams and their sluggish-moving reservoirs, Idaho contributes flow augmentation water to overcome the slow current. Migrating salmon smolts require adequate water velocities for a timely arrival to the Columbia River estuary. The enhanced flow is done to make the reservoirs behave more like a river even though it has minimal effect - kind of like pouring water into a bathtub. 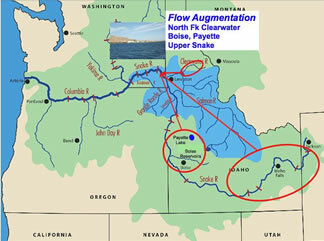 The two Idaho sources of stored water for flow augmentation originate from Dworshak Reservoir on the North Fork of the Clearwater River and the upper Snake River, including reservoirs in the Boise and Payette River drainages. Dworshak Dam and reservoir and its water are federally controlled. Every year beginning in early July the Corps releases 1.2 million acre-feet of stored water - drafting the pool 80 vertical feet through mid September. 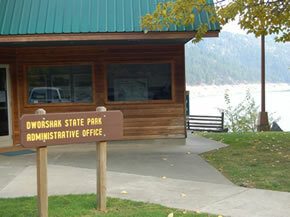 The Dworshak project was authorized by Congress as multiple purpose – power, flood control and recreation. 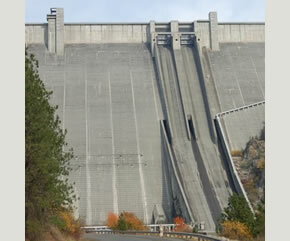 Before flow augmentation for listed salmon started in the early 1990s the reservoir was regulated to stay full in July and August – the peak of the recreation season. 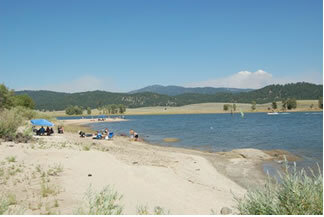 The Corps built an extensive recreational infrastructure surrounding the reservoir with large campground facilities and many mini-camps only accessible by boat. 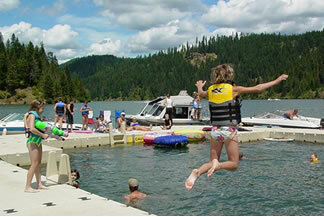 Dworshak provides exceptional recreational opportunity at full pool. Millions of dollars of economic spending have been lost to surrounding communities because of the current drafting operation. If the lower Snake were returned to a free-flowing river, flow augmentation from Dworshak would not be needed. Full reservoir summer recreation could be reinstated and the dam could return to fall/winter power production. 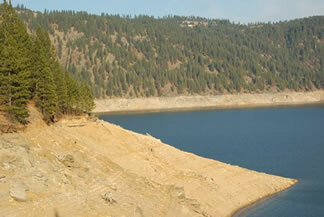 The upper Snake dams and reservoirs contribute 427,000 – 487,000 acre-feet of water annually on a willing seller basis. 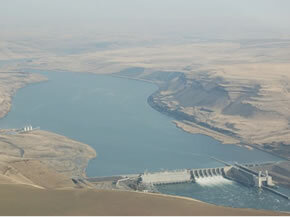 Irrigation interests lease water to the Bureau of Reclamation for salmon flows. During drought years there is less water to lease from irrigators. Global climate change influencing drought and reservoir storage shortfalls should put Idaho irrigators on notice. To ensure irrigation water to Idaho farms and ranches on a consistent basis into the future will necessitate removing the lower Snake River dams. Water releases from Cascade Reservoir in the Payette River drainage during the summer months can impact fishing and recreation especially during drought years. To replicate a free-flowing river on top of the Lower Snake reservoirs during the salmon migration season would require additional inflow of 160 million acre feet of water, or the equivalent of 160 million football fields flooded to the depth of one foot. This would be impossible. Only about 10 million acre-feet of storage exist in the entire state of Idaho, and most of that water is earmarked for agricultural, industrial and municipal use. Removing the lower Snake River Dams is the only solution to meeting the river current requirements for smolts that will achieve salmon and steelhead recovery.